“Afia reported the husband Abrokwah to the Achimota Police station that the husband has threatened her life – so the husband was invited by the police. It was at that point that the husband called me to come to his defence. So I went to Achimota police station. The husband showed the scandalous se.xual video to the police and showed me a copy. “Yes, I saw it with my Unclad eyes! Afia’s husband also disclosed that he sent a copy of the video to Afia’s father as evidence to prove his case. It’s upon seeing the video that I took Afia’s number and contacted her. I told her that we should solve this issue amicably behind the scene. I told the Achimota police this issue must be solved at home – no need for court or media trial. Lawyer Ampaw continued that, “Afia seemed unforgiving and kept stating that she’s divorced Abrokwah – but I told her that once they had ordinance marriage, she cannot by word of mouth or sending drinks of the man to the man’s family, dissolve the marriage. Cutiejuls: Good morning, how are you? Source: I’m very well thanks. How are you? Cutiejuls: What are we hearing about Afia and Abrokwa? Source: Members of the public including Afia’s neighbour who live in a storey building, told us about 3 months ago how the husband and the house help have been kissing and handling, eating from the same plate in Afia’s compound when she is off to work. “Sister Afia, I think your husband is sleeping with your house help. I have seen them kissing in your car and one time, your husband mouth-fed her with an ice cream they bought from me in my present and he even told me, “hey, this should just remain here”. I think you need to put your eyes down and monitor them”. Richard, a young man she took in as a son, also told Afia about fishy things he suspect. She asked her husband about all this and he denied them all. He even forced her to let Richard leave the house and a loving and obidient wife, she obeyed him. Richard left the house [But she still supported him as a mother]. The stories kept coming and we all became worried some friends and family advised her to install hidden cameras in the house to monitor whats going on. My dear, the findings were alarming and very shocking so she told her parents that she’s no longer interested in this marriage. When the family returned the drinks, Abrokwah’s mom told the family that she [Afia] needs to pay her son a Divorce Settlement Fee of which my family said “No”. “I can no longer continue to marry a man who cheats on me with different women including my own domestic staff whom I have employed, pay her salary with my own money to help both Abrokwah and myself with domestic chores. Cutie Juls, please, can you believe when we took the house help’s phone and saw whatsapp conversation between the staff and Abrokwah exchanging Unclad pictures. We also saw a video of Afia sleeping in her bedroom, Ia video of Afia’s whole house and I also listened to a voice chat from Abrokwah told the house help to keep the videos safe so because they will need it to make money off her [Afia]. Abrokwah and Afia are no longer married. My family have sent their drinks and dowry to them and they have accepted it. Cutie Juls: So how did he get into the house and filmed Afia “In bed with the said man”? Source: He jumped the wall and broke into her bedroom by kicking her bedroom door to attack and robbed her and her friend. It was horrific. He held them under hostage with a substance in a bottle he claimed it’s an acid. He demanded $10,000 or he will release the video to bloggers. They said they couldn’t pay him because none of them had such amount on them. He made away with her jewelry, her 2 mobile phones, her $2500, her GHC500 and £500. When we took the domestic staff’s phone, there comes the shocking revelation, Cutieto to our shock, after this ordeal, I chanced on a telephone conversation between the staff and Abrokwah in which Abrokwah was asking the staff if the “boyfriend” appears rich, details of his car etc. and it was after he got enough details to prove the “boyfriend” is well to do and then he came into the house to rob and attack them with acid. On that fateful day, according to what she told us [family], he held the acid and said words she should that repeat after him. I quote “Say, I borrowed money for our wedding so I need to sleep with a man to pay back”. A pure negative act under duress you and I know. God forgive him. Cutie, this is what our sister told us; “I was scared for life. I saw death staring at me in my face. I was shivering and if he had told me to say I hate my children, I would have said it. He told me what he was holding in the bottle was acid. I was so afraid. It was scary. 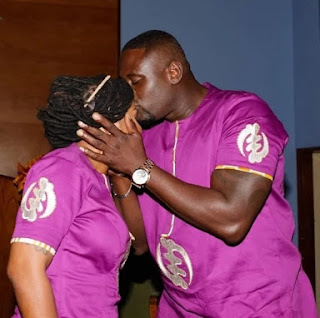 The source also said; ” Abrokwah deluded Afia with false promises and when she realized it was lies, she didn’t want to continue with the marriage. My dear, this isn’t marriage. It’s sham on the part of Abrokwah. He blackmailed and took money from sister at the least opportunity. In an available to Cutiejuls.com, Mr. Abrokwah and the domestic staff were heard planning on how they will get Mr Abrokwah will get into the house in the middle of the night to take valuables and money from Afia and the said boyfriend. Cutie, this whole unfortunate situation were carefully orchestrated by the domestic staff and Abrokwah”. In another video which we unfortunately can’t publish due to the explicit nature, Afia was seen sleeping in her bed and was been filmed. Mr Abrokwah was heard telling the domestic staff to keep this video very safe because he can’t have it on his phone as Afia sometimes goes on his phone. The source said; Afia said during a family meeting between the two families after she confirmed Mr Abrokwah was having a sexual relationship with the domestic staff that ; “I am not interested in this marriage again because my husband apart from stealing from me also sleeps with my house help”. This is too long oo.. Can I get a brief version?